We celebrated my husband's belated birthday yesterday evening. Following our family tradition, he got to pick his "Menu" and he opted for Empanadas. De Carne. Obviously. We had not made empanadas for a while and since our daughter does not eat meat these days, I improvised a vegetarian version replacing the meat in the original recipe with spinach and ricotta and omitting the olives. That way, everybody was really happy about the main dish. However, the best part was our daughter's Bundt Cake with blueberries and almonds. She got the recipe from one her friends' and adapted the icing because she had never made a cream cheese-based icing before and did not want to try it on this cake. For a few weeks now, she has been taking baking classes as an afterschool activity offered at their school on Fridays. She has been enjoying learning new tricks and recipes but, much to my husband's dismay, there is never enough leftovers from him to taste when he gets home. As a present for his birthday, she therefore offered him 4 weekends of baking whereby she would bake at least once during the weekend for him for 4 weeks. Useless to say that he was really excited but made sure that the Bundt Cake was not Week 1! We'll update the blog with her recipes - and, if I have time and make something really fun and special, I'll post the recipes as well. It's not that I have not been cooking from scratch most nights these days, it's just that I have not made anything really different. That said, as I am looking for new ideas for the daily cooking, I'll find new recipes in the different cookbooks we have around the apartment. Bon Appétit. We are back! The year went by very fast... and yes, we did cook a lot, mostly vegerarian every night as our children decided to give up meat. But, as my husband would say, nothing really interesting, worth putting on this blog!! No comment! Now that our children are in France for most of the Summer, our daugher is using her stay as an opportunity to bake, watch baking competition shows and eat pastries from top pastry chefs whenever she can! 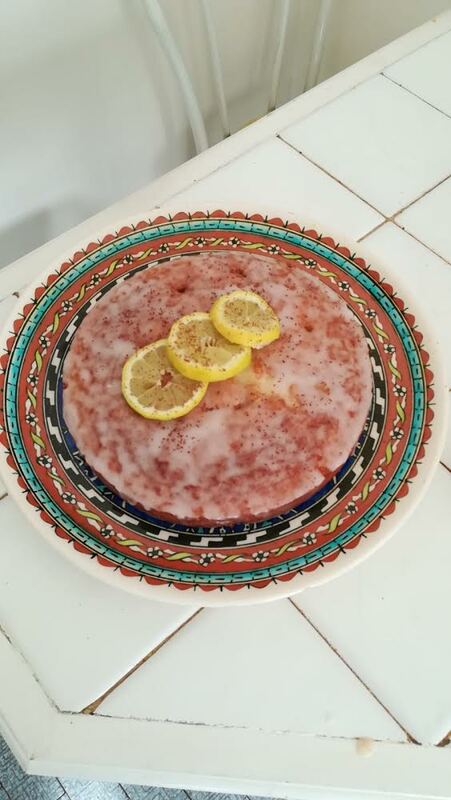 Below is her message and the recipe she used for her new lemon cake. Mix in the dry ingredients and add the beaten eggs and oil. Mix well. Add 1/2 of the lemon juice, including pulp and mix well until smooth. Add the chocolate shreds. For the icing, please see the Lavender Cake recipe here. Hello and happy summer! For once, this recipe is not my mom's! Since I am really into baking these days, I figured out that, since I am in France (yes vacation! for 2 1/2 months - too much right? ), I should use this time to bake. The weather in Normandy (one of the places I'm staying over the summer) has been sunny and really hot ; and then rain, rain, rain! With my grand-parents, my brother and some of my cousins, we went to a Gospel concert organized in the village's church. After the concert, we had a "collation" for the artists. We helped out to make something for them, and it had to be a dessert. Good for me, I was up for it! My grandmother told me I should make a chocolate cake, but I thought it was too ordinary. 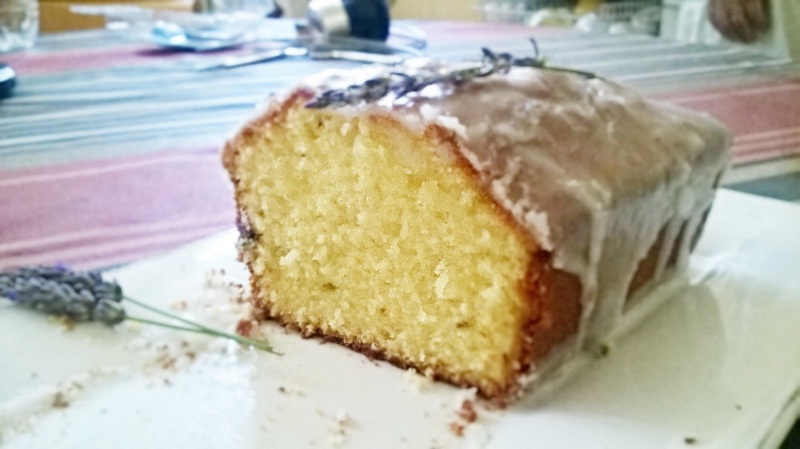 I thought that maybe I could make a lavender cake. Since there is fresh lavender (and no chemicals on them!) in my grandmother's garden (yes lavender in Normandy! ), I did not have to purchase any. It was a success - they all loved it! So I even made it again for a "goûter" (afternoon snack) and it got eaten quickly! Hope you love it too! Bon Appétit! 10 g water (more or less depending on consistency). . Mix sugar and butter together until white and double in volume. The icing has to be liquid enough to drip on the sides of the cake but solid enough to create an opaque layer. Make sure to use organic lavender as you don't want to eat pesticides! 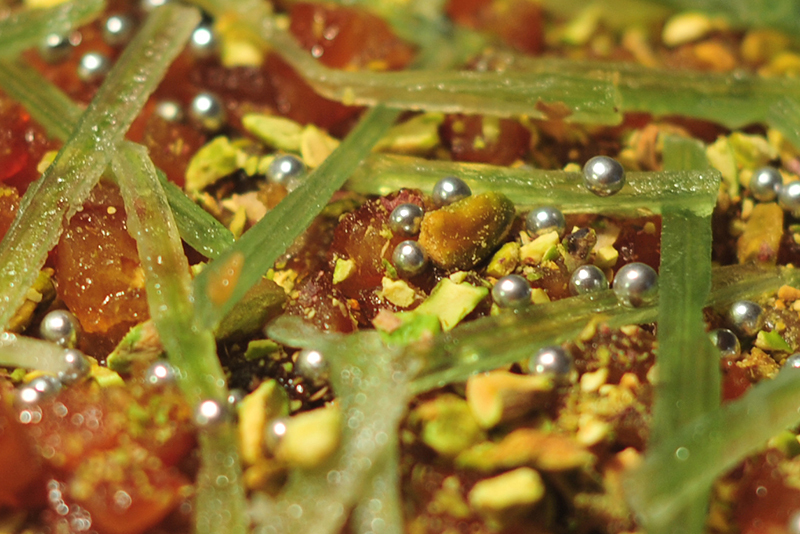 Since apéritif is one of my favorite meals, we tend to organize large "apéros" on our roof top. This makes it easy to organize and host: no back-and-forth with the kitchen downstairs : the food is already out. Everybody can help themselves with what they like (or want to try).... It's just a nice way to chill out and enjoy the company of friends. Among all the things we make are the usual suspects : Guacamole, Hummus, white beans and fennel dip, salsa and chips, nuts, cake aux olives et au jambon, charcuterie and cheese, etc. This year, I made a few variations of pissaladières. Pissaladières are from the South of France and traditionally involve caramelized onions, black olives, anchovies on bread dough. Since I know few people who like anchovies, I tend not to make them with anchovies, especially when a lot of children are coming over. This year, I had extra feta cheese so I added feta instead of anchovies since we were having more than 12 kids over with their parents. I don't bother making my own dough anymore (my sourdough starter died a while ago) so I just purchase pizza dough at the local supermarket. 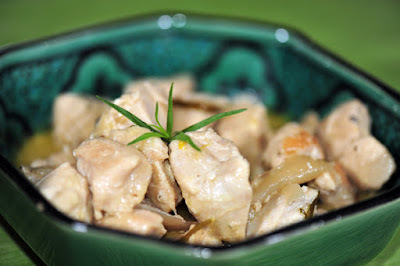 Really easy to make - and as usual, something you can improvise around to adapt to the palate of your guests. It's also very easy to bring Pissaladières to a Summer pique-nique or your next BBQ since it's officially in season! 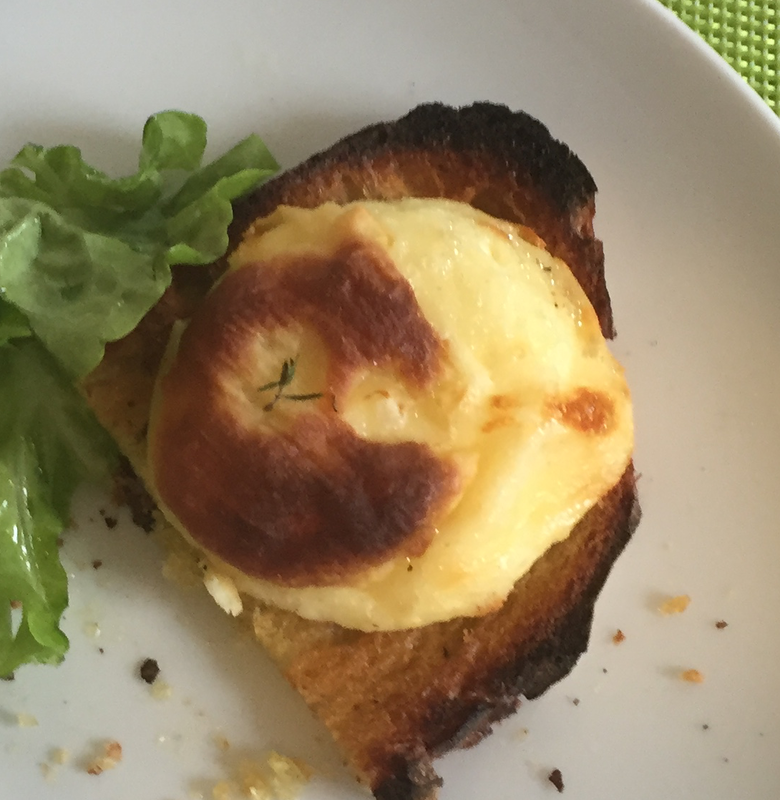 One of our daughter's favorite dishes is hot baked Crottins de Chavignol served on a piece of toast along a plain salade verte. Crottins are small round-shape goat hard cheese. The most famous ones come from Chavignol - a small village near Sancerre in the Loire Valley. France (and Europe) being very strict as to protecting regional products and savoir-faire, the crottins can only be called Crottins de Chavignol is they are actually coming from the Chavignol area. They are protected by what we call an Appellation d'origine contrôlée (AOC) which is a French certification granted to certain French geographical indications for wines, cheeses, butters, and other agricultural products that come from certain terroirs. Other areas in France produce crottins de chèvre - they are just not labeled "de Chavignol". Unfortunately, this is one of the dishes I hardly make in the US. Much to my family's regret. Reason? Price of the crottins. In France, you could purchase crottins de chèvre for less than 1 euro each (2 euros if you want them organic or de Chavignol), while in the US, I find them at at least $5/piece for locally-made cheese. What is an affordable entree in France become luxury across the Atlantic! As a result, whenever we go to France, our daughter makes sure to eat a lot of them, always volunteering to help prepare them whenever she can! I think that if we were not living in an apartment building in the center of Philadelphia, she would try to get a goat to make her own crottins! If you have access to crottins where you live, please try to make this salad. You would not be disappointed! Bon Appétit! As I try new dishes, I will try to engage our two children more as they have indicated that they wanted to cook with me more often. Perfect bundle: cook for our family while spending more time with them and learning new recipes! I might ask them to choose the recipe so that they end up cooking something they find (more) appealing! As we were discussing this (and in a way, William was complaining noticing that menus don't change that much (read:I don't cook enough meat or dishes that simmer on the stove for hours)), our daugther asked him what he would cook if he had to cook everyday for a week (assuming that I had not prepared dishes in advance (as I always do when I travel); and he could not rely on frozen food nor take-out). His menu was something like: couscous, lasagnes, cassoulet, salade landaise, hachis Parmentier, choucroute, duck confit! Well, if it weren't for the lack of balance of this diet (our daughter did mention to him that the quantity of greens was really minimal!! ), I would take him on the offer of cooking for a week or more just to be "off duty". That would be a great resolution on his part, n'est-ce-pas? I just don't know with what he could bundle it with because he is not the type of person who can do two things at the same time... Except that if he asks our children for help, he would end up spending time with them and that, as we all know, has no price! Despite all this, I will have to credit him with making Spaghetti a la Carbonara last weekend (bacon, cream, grated cheese - William's tastes, just there) but also with this impressing dessert he made for his cousins and uncle during our Christmas break in Canada. Note that this is one of the richest and sweetest desserts I have ever seen (William's tastes just there again!) The type that makes most people sign up for a gym membership the very same night - and if they are bundling, would catch up with at least one full season of a TV serie on their first session! As for my cooking resolution, a friend of mine just gave me a new cooking book with Asian recipes - so I now have plenty of recipes to try, hopefully with the children as sous-chefs! Be prepared! The recipe for the Tarte aux Mendiants is from Cuisine et Vins de France and can be found here (in French). Following on my first post of the year around food waste (should be easy to find since I have not been able to post much in the first part of this year - work and family kept me really busy), I wanted to write about a campaign that a French supermarket chain, Intermarché, launched to convince French consumers that ugly fruits and vegetables are not necessary bad to eat. To the contrary! The campaign was called "Les fruits et légumes moches" - an English version can be found here. What first stroke me the first time I came to the US in 1994 was the fact that apples were so perfect and so shiny in US supermarkets. "Standardization" has been the key driver of the food industry over the last decades. It's easier to ship; it's easier to store and display... and consumers tend to associate "good-looking" with "good taste" - hereby contributing to increased waste either at the production site or at the distribution. 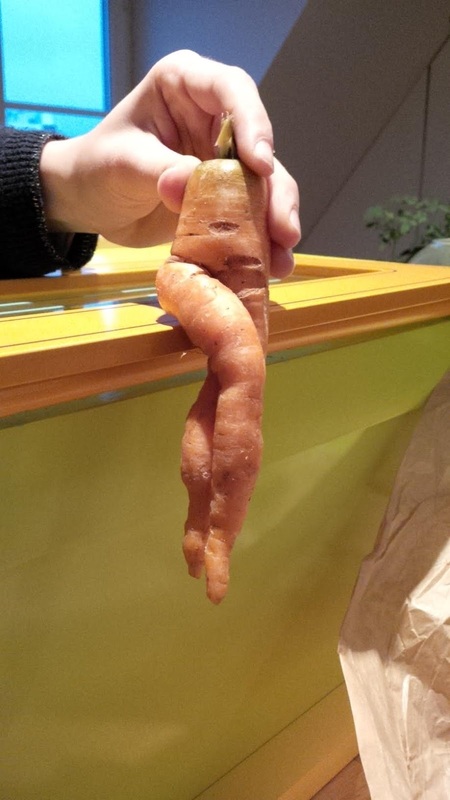 Thanks to the positive results of this campaign Intermarché started offering ugly veggies and fruits in all its supermarkets ;other chains have jumped on the bandwagon, including in the UK and Canada. Above is an example of a potato I received in our CSA box a few weeks ago and a carrott my brother-in-law purchased near Paris this past Winter. Petites merveilles de la nature... Délicieuses petites merveilles de la nature! It's Summer again and with it come all the herbs to spice up dishes! We grow a few on our rooftop - we gave up on cilantro and parsley because we eat so much of them that it's not "space-efficient". To much of my regret, we don't grow chervil either because it's too fragile. We therefore tend to have thyme, oregano, sage, basil, rosemary, chives, tarragon as well as mint. This year our tarragon is really enjoying the warm and damp weather - trying to move in with the oregano in the next pot! My paternal grand-parents had a huge (OK, maybe not HUGE but it did look very big to me at the time) tarragon bush in their garden in Burgundy. There was more tarragon in this garden that we could all eat and somehow, despite long cold Winters, it always came back for us in the Summer. We would use tarragon to flavor the sauce vinaigrette (made with Dijon mustard, évidemment!) 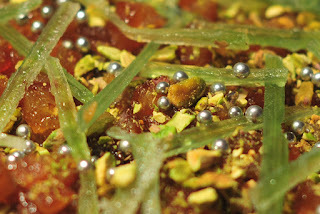 in our salades but as well as with cooked dishes. At home these days, I use it in pretty much every salad I make or in some hummus or other dips that we eat for apéritif or just with the rest of the meal. I recently made this Poulet a l'estragon and would encourage you to make it if you don't know how to use the tarragon you bought the other day or that your neighbor gave you! There are different versions of this dish - you could omit the crème fraiche is you wanted to keep it on the lighter side or if you are serving it with green beans or other vegetables that do not call for a sauce (as opposed to rice or potatoes which is what most French people would eat it with.) Some people add tomato paste in the sauce - nothing that I remember from cooking it with my grand-mother but why not... I will leave it it up to you do improvise... Bon Appétit! In the same pan, saute the shallots in olive oil until they are golden. Add the crème fraiche in the pan over high heat and fresh chopped taragon - stir and bring to a boil. Adjust salt and pepper to taste. For the first time today, Spring seems to be coming to Philadelphia! All the more surprising that we got about 5 inches of snow last Thursday! Patches of snow still remain in the city... but hopefully not for too long... I get tired of snow in the city! It's nice for about 2 hours after the snow storm and then it starts to get dirty, mushy and sometimes really icy! Worst for all of us who walk in the city, the snow is pushed to the corners of streets so you can not cross the street on foot without getting your shoes wet!! My husband always makes fun of me because I put on my snow boots (or sneakers when it's dry enough) to get to work in the morning, something hardly anyone would do in Paris. I carry my dress shoes and jacket in my backpack (another no-no in Paris) but I figured that if I am going to walk close to 10km (6 miles) every day, I'd rather be comfortable than stylish - at least for the communiting part of my day. It's also cheaper (my dress shoes last longer; I don't have to worry about orthopedic surgery!) and healthier (I used to log in close to 15,000 - 17,000 steps per day before I lost my Fitbit). I have been trying to have him walk more with limited success - he likes the bus better except when there is about 5 feet of snow in the city and then he enjoys the peacefulness that comes with it and then he walks home! He might be the only one wishing for another snow storm in Philly in the coming days!! 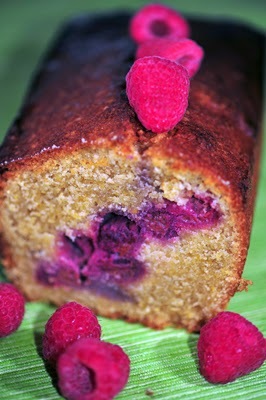 To celebrate Spring, I was thinking of making that Cake aux Framboises. I have made a few times in the past and it's always something our family enjoys. I know, I know, raspeberries are not in season in Pennsylvania yet... but it's a nice treat to celebrate the start of what I hope is going to be a season of wonderful fruits & veggies! Add the corn meal, corn starch, baking powder and almond meal. Add the Vanilla extrait, milk and butter and mix until you get a smooth batter. Pour half of the batter in the mold. Unmold - Eat cold with fresh raspberries.